Tiramisu was invented in Treviso, very near our apartment here in Italy. It only seemed fitting that I should order tiramisu at every establishment that offered it on their menu during my three month stint. Having concluded my Tiramisu tasting study , I feel like I am prepared to try to perfect the ultimate, authentic Italian Tiramisu as my last little hurrah in our apartment before we leave for the US on Monday. Oh yeah, and because it’s my birthday today. Which birthday, you ask? It rhymes with “dirty” and I feel old. But at least there’s Tiramisu, right? This just so happens to be the BEST Tiramisu I have eaten in Italy (or anywhere for that matter). 1. 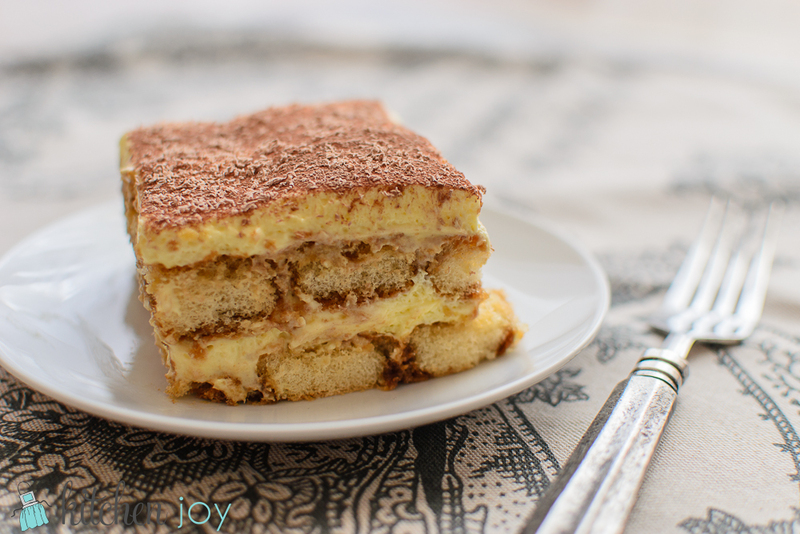 It is made with coffee, chocolate, ladyfingers, and mascarpone…shall I keep going? 4. 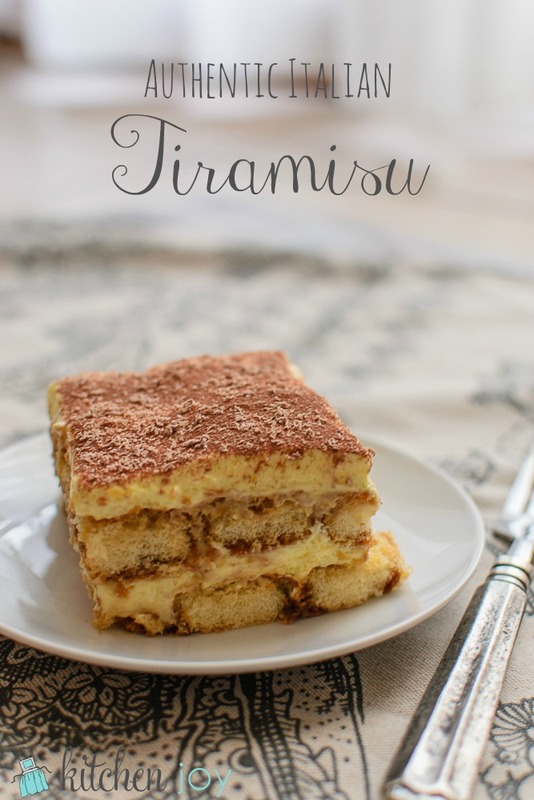 The name, Tiramisu, means “pick-me-up” in English. Most Americans seem to believe that is in reference to the coffee in the recipe, giving you a bit of a pick-me-up. However, I found it funny to hear that here in Italy, they take it to mean “pick-me-up” in reference to a guy picking up a girl. They believe Tiramisu has some aphrodisiac-like qualities. Either way, it’s delicious and that’s all I care about. 5. Authentic Italian Tiramisu is made with raw eggs. In America, due to fear of salmonella, Tiramisu is often made by tempering the egg yolks and substituting heavy whipping cream in place of the egg whites. 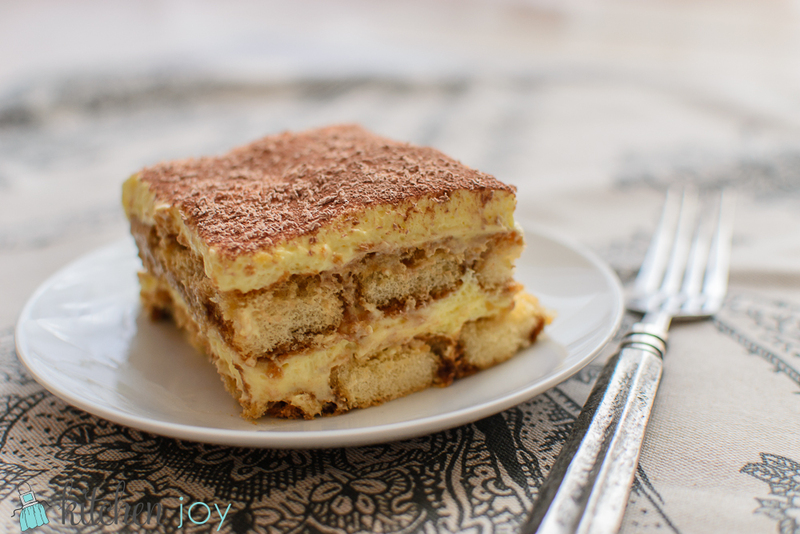 My goal was to make the most authentic version of Tiramisu that I could while I am still in Italy and the ingredients are accessible and affordable. Also, because of all of the places that I have enjoyed Tiramisu, the best has been in Italy. Feel free to do as you wish, and of course, consume raw eggs at your own risk/discretion. If you would like to try a recipe that does not include raw eggs, I might recommend trying this one from Tyler Florence. I tend not to be too skiddish around raw eggs since I have eaten an un-quantifiable amount of cookie dough in my life, and I’ve never had any regrets or adverse reactions. 6. Tiramisu contains alcohol. Of course, this can be omitted and the dessert will still be spectacular. Oftentimes coffee-flavored liqueur is used. After reading several articles and recipes for Tiramisu, I decided to make mine with Marsala, an Italian dessert wine which in my opinion seems to be a more traditional Italian choice instead of rum or coffee-flavored liqueur. (I also happen to have some on hand most of the time for making Chicken Marsala or Cannoli with Ricotta-Mascarpone Cream.) Feel free to substitute whichever alcohol you would like in place of the Marsala, or leave it out altogether. Brew coffee and allow to cool to room temperature. In a large bowl, whisk egg yolks and 1/4 cup of sugar until pale, doubled in volume, and "ribbons" remain for a few seconds when spoon is lifted from the mixture, about 3-4 minutes. Whisk in marscarpone a little bit at a time. In another large bowl, beat egg whites and remaining 1/4 cup sugar until stiff, glossy peaks form. Fold egg whites into mascarpone mixture. Add 2 tablespoons Marsala to the coffee. Dip Savoiardi ladyfingers quickly into the coffee and arrange in a layer in the bottom of a 9x13-inch pan. Do not "soak" the ladyfingers in the coffee or your Tiramisu will turn out soggy. Spread half of the mascarpone mixture on top of the ladyfingers. Top with another layer of dipped ladyfingers. Refrigerate at least 8 hours before serving. (Overnight works well too.) This allows the filling to set and the ladyfingers to soften and absorb the coffee. Sprinkle with cocoa powder and chocolate shavings immediately before serving.